Despite the fact that L’Oreal are refusing to spell ‘colour’ the CORRECT way, I absolutely love their Color Riche range. “This is not a lipstick. This is a kaleidoscope of colour. Anyone else getting serious deja vu of the M&S advert?? Haha, I’m now repeating the lines to myself in a seductive voice.. I absolutely love orange, peachy shades, in my opinion they are so under-rated!! This colour, 373 Magnetic Coral, is a punchy coral shade with a cool base – a nice introduction for lipstick lovers who are new to orange. I would wear this with a peachy flush on the cheeks, taupe shadow on the eyelids and neatly defined brows. Lashings of mascara never goes amiss either. Because it’s a bright shade, its slightly more forgiving than dark burgundies and striking reds. Therefore solid coverage is not as necessary. A BB cream would make a great companion so that you get a dewy finish along with the bright coral pop on the lips. 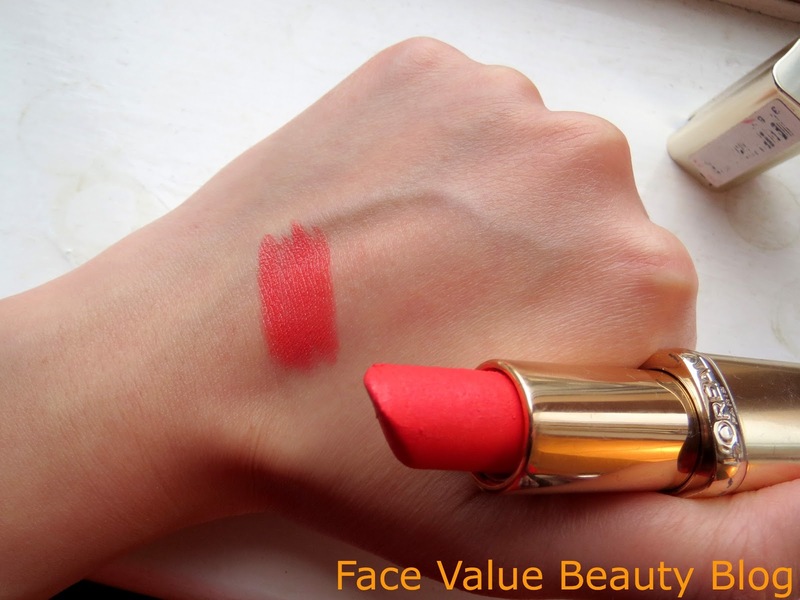 The texture is quite creamy and light – unfortunately not as good as covering dry lips as its sister lipsticks in the Boosting Serum range but the colour is fairly true to what you see in the bullet. Yay! What do you think? Are orange shades the new red? What would you wear this with? More important, is Spring finally here yet or what?? I can’t wait to crack out the pastel shades! L’Oreal Fibrology – My Short-lived TV Career. I struggle wearing any type of colour in the daytime! Are there any tips you can suggest to 'tone down' a bright colour, or what would be an ideal work colour? Thanks in advance! 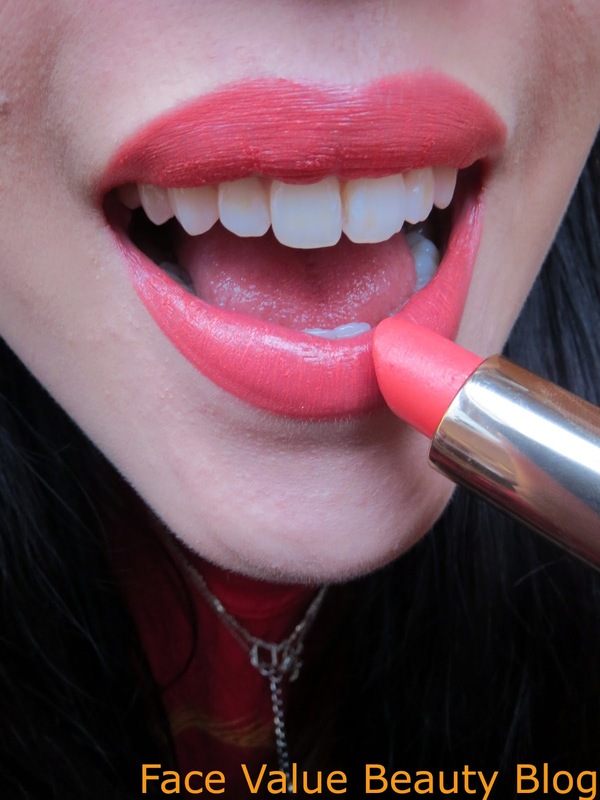 i love coral lippies and thats a really pretty shade for summers. What a lovely color! I have coral lipstick, but i think this orange-coral right? Bright & shining colours are my weakness. Thanks for review! great color can you tell me is that matches for all kind of skins ?? All skin types yes – I think it would be good on any skintone! is it the same colour as maybeline coral crush 420 ?? 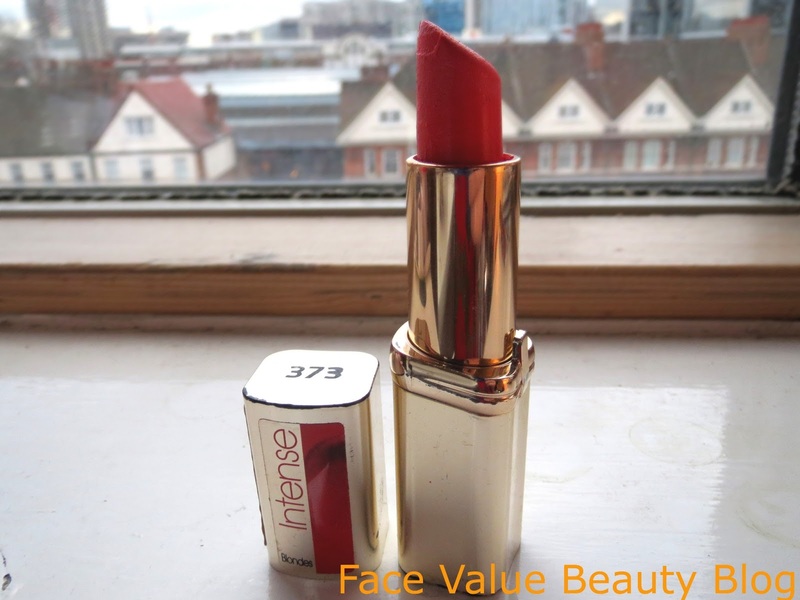 is it the same colour as maybeline coral pop 420 lipstick ?? I'm not sure as I don't own it but looking at swatches online, it looks very similar. The Mayeblline looks like it has slightly more of a pink tone..!